Liam Dwyer in the recording studio for the Netflix documentary. Miami Showband massacre survivor Stephen Travers from Carrick-on-Suir will recount the horrific loyalist atrocity that changed his life and ended the lives of three of his bandmates in a major new Netflix documentary that will premiere this Friday, March 22. The Miami Showband Massacre documentary will also focus on Mr Travers battle to establish the truth behind alleged British military involvement in the attack during which the Carrick man was seriously injured. The release of the Miami Showband Massacre documentary is timely as it comes just a week before Britain is due to leave the EU - a development which Stephen fears could lead to the return of violence in the North if a hard border with the Republic is restored. Mr Travers said the documentary was also a tribute to his bandmates Fran O'Toole, Tony Geraghty and Brian McCoy, who were shot dead by the notorious Glenanne Gang in the massacre. "I have fought very hard to make sure they are never forgotten." 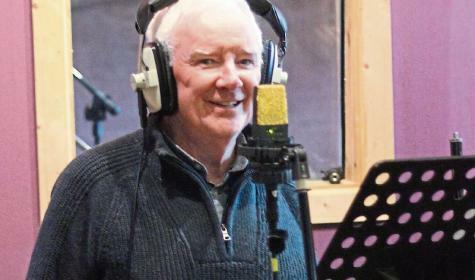 Mr Traver's great friend of 46 years, the veteran singer Liam Dwyer from Ard Mhuire, Carrick-on-Suir is also featured performing in the Miami Showband Massacre documentary, which is part of Netflix's Remastered series. In the closing scene of the programme, Stephen and Liam along with Northern Ireland folk singer Tommy Sands perform The Parting Glass ballad. Liam recorded The Parting Glass for the show last year during the making of the documentary and also recorded a poignant peace song The Calling composed by Stephen. The song has become the signature song of the Truth and Reconciliation Platform (TaRP), an organisation founded by Stephen three years ago to promote reconciliation and lasting peace in Northern Ireland. Liam told The Nationalist he was delighted to take part in the documentary. "The fact that two of us from Carrick-on-Suir were involved in this documentary is something special really," he said. Stephen Travers said he was very keen to have Liam in the documentary because he was one of the first people to visit him in hospital in Newry the day after the Miami Showband was attacked at Banbridge, Co. Down on July 31, 1975. The Miami Showband Massacre documentary is part of Netflix's Remastered series that investigates high profile events affecting some of the most legendary names in music including Bob Marley and Johnny Cash. It will be available to a global audience of 139 million memberships in over 190 countries.